Anonymous. 2008. A la découverte des reptiles du Gabon. L'Union, 5-6 July 2008: 3 [in French]. Anonymous. 2014. Une nouvelle espèce d'orchidée mettant Shell Gabon à l'honneur. Shell World Gabon, December 2014: 23 [in French]. Anonymous. 2015. Un Belge decouvre 6 nouvelles grenouilles. La Capitale, 21 December 2015: 19 [in French]. Anonymous. 2016. [A biologist from Belgium discovers a new species of agamid lizard in Phuket Province]. Sarawit, 6: 7 [in Thai]. Anonymous. 2016. Officially horny: Phuket Little Dragon confirmed as a new species. The Phuket News, 6 (52): 1-2. Anonymous. 2017. Freaky find. Scholastic News Edition 3, February: 3. Anonymous. 2017. Spotting new species. Scholastic News Edition 4, February: 2. Anonymous. 2017. Spotting new species. Scholastic News Edition 5/6, February: 2. Boersma, H. 2016. Belgische bioloog ontdekt vijftig nieuwe diersoorten. De Morgen, 21 December 2016: 18-19 [in Dutch]. Cornillie, B. 2016. Deze Vlaming ontdekte al 80 nieuwe diersoorten. Het Laatste Nieuws, 20 December 2016: 15 [in Dutch]. Issouf, S. 1994. Mieux connaître la faune locale. Mayotte Echos, 22 April 1994: 6 [in French]. Madouma Madou, J. 2004. La première promotion prête pour le service. L’Union, 25 August 2004: 5 [in French]. Mimbi, P.A. 2004. Des écoguides et écogardes en formation. L’Union, 15 July 2004: 14 [in French]. Monaghan, S. 2008. Can oil and wildlife mix? Geographical, July 2008. Monaghan, S. 2008. Coeur sauvage. Gabon Magazine, Printemps 2008: 14-21 [in French]. Monaghan, S. 2008. Wild at heart. Gabon Magazine, Spring 2008: 14-21. Monaghan, S. 2009. Slippery customers. Gabon Magazine, Summer 2009: 34-37. Nizet, P. 2011. Olivier Pauwels, le découvreur de nouvelles espèces. La Capitale, 27 December 2011: 19 [in French]. Nizet, P. 2015. Un Bruxellois decouvre un... dragon au centre de Phuket. SudPresse, 24 September 2015: 16 [in French]. Anonymous. 2004. Gabon to increase national park guarding. African Online News. Anonymous. 2011. Phuket Pit Viper confirmed. Phuket Gazette. 25 December 2011. Anonymous (Office of Science and Technology, Royal Thai Embassy, Brussels). 2015. A biologist from Brussels discovers a new species of lizard in the middle of Phuket. Anonymous. 2016. Belgische bioloog vindt onbekende dieren in Thailand. De Standaard. 20 December 2016 [in Dutch]. Anonymous. 2016. Belgische bioloog zoekt naar onbekende dieren en planten in Thailand. Agripress. 20 December 2016 [in Dutch]. Beardsley, E. 2014. New gecko species discovered in Thailand. Epoch Times. Mayombo, J. 2004. Gabon national parks to have ecoguards and ecoguides. WWF Global. Monaghan, S. 2008. Getting on with jumbo-size neighbours. The Telegraph, 28 February 2008. Poosen, F. 2016. Belgische bioloog zoekt naar onbekende dieren en planten in Thailand. Het Nieuwsblad. 20 December 2016 [in Dutch]. National Geographic Television & Film. 2003a. Croc Chronicles III. Episode 9. Crocs of Darkness. National Geographic Television & Film. 2003b. Croc Chronicles III. Episode 12. Forest Crocs. 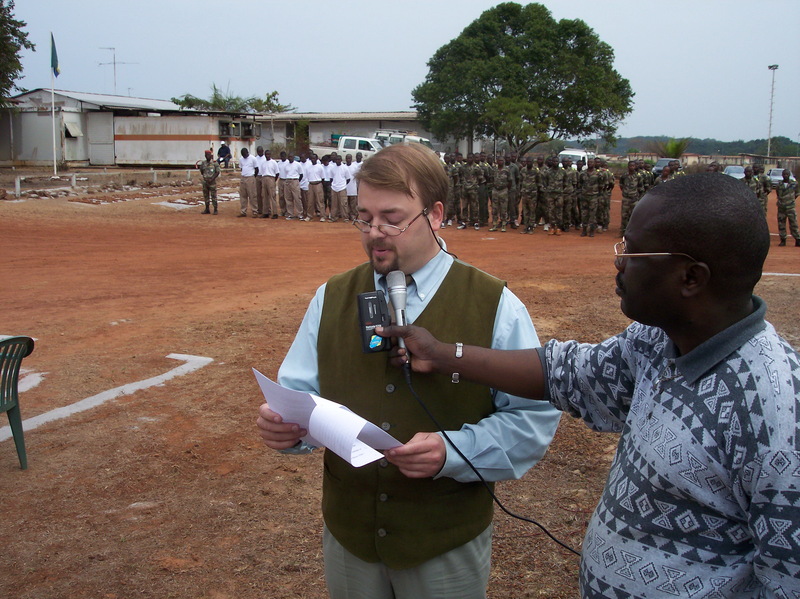 Radio Télévision Gabonaise 2 (RTG 2), 24 July 2004. Interview on the first country-level training of ecoguards and ecoguides for the protected areas of Gabon, organized by O. S. G. Pauwels under a joint effort by the WWF, the WCS, Gabon's Forestry School (ENEF) and the Moore Foundation [in French]. TéléAfrica, 25 April 2006. 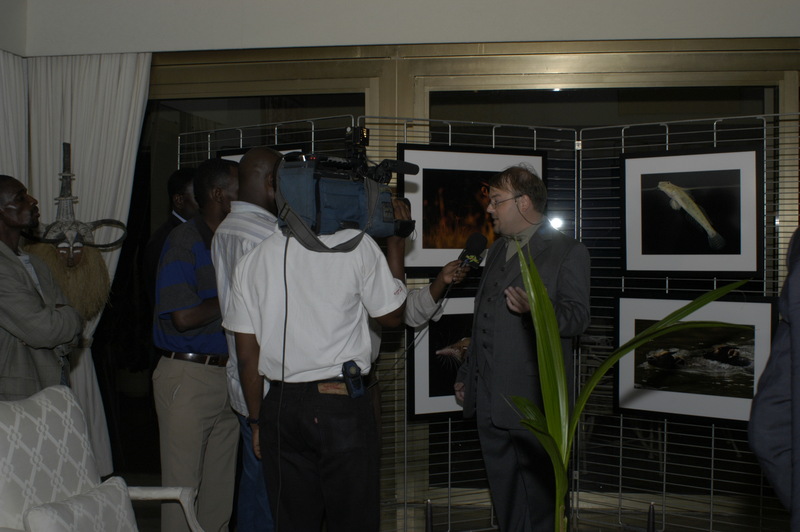 Interview during the launch of the book ''Gamba, Gabon: biodiversity of an equatorial African rainforest'' (co-authored by O. S. G. Pauwels) at the residence of the US ambassador Barrie Walkley, with the deputy prime minister Georgette Koko, Libreville [in French]. 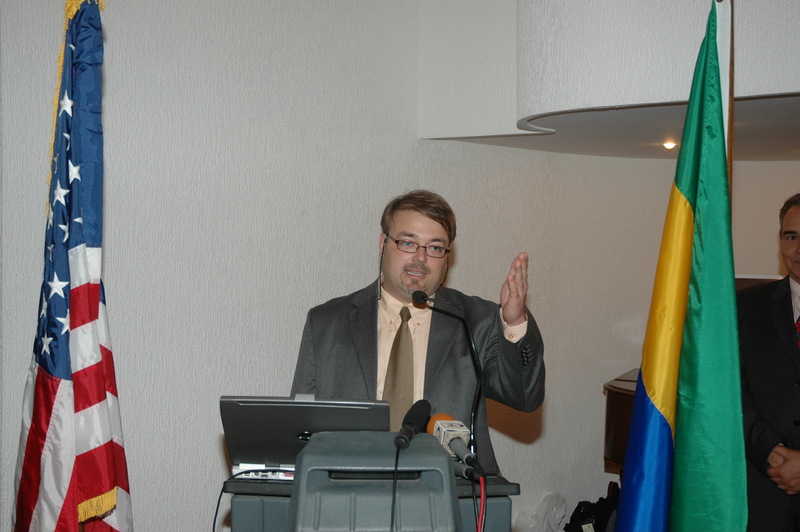 TV+ Gabon, 23 June 2008. Interview during the launch of the book ''Reptiles du Gabon'' (co-authored by O. S. G. Pauwels) at the residence of the US ambassador Eunice Reddick, with the deputy prime minister Georgette Koko, Libreville [in French]. 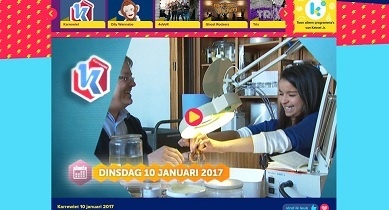 Ketnet (children's television channel of Flanders' public broadcaster VRT), 10 January 2017. Interview for Karrewiet show on the discovery and description of new species, filmed at the Royal Belgian Institute of Natural Sciences, Brussels [in Dutch]. Radio Télévision Belge Francophone (RTBF), 23 March 2018. 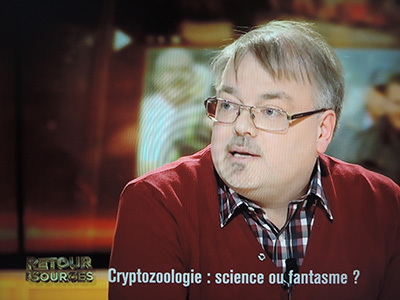 Invited in the show ''Retour aux Sources'' to comment the documentary ''Rebelle de la science'' on the life of the Belgian cryptozoologist Bernard Heuvelmans. Africa Numéro 1, 27 July 2004. 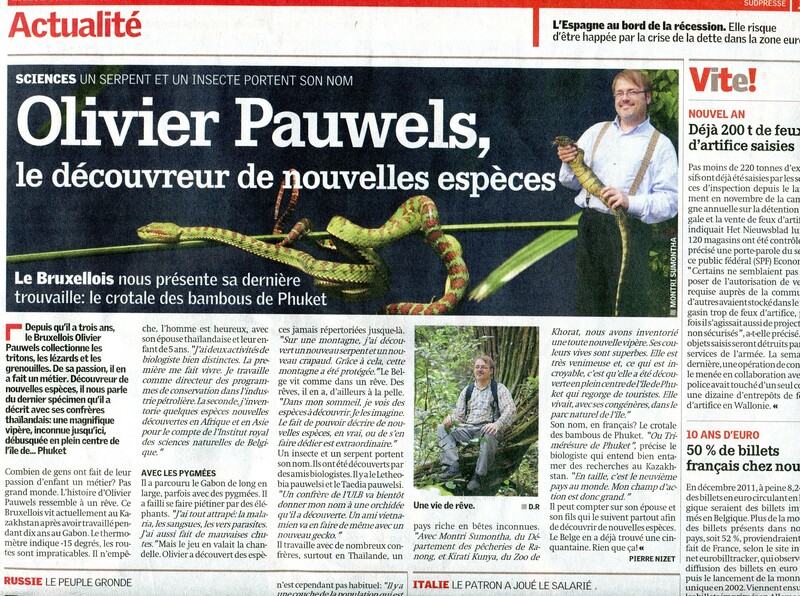 Interview by François Duc Moukouangui on the first country-level training of ecoguards and ecoguides for the protected areas of Gabon, organized by O. S. G. Pauwels under a joint effort by the WWF, the WCS, Gabon's Forestry School (ENEF) and the Moore Foundation [in French]. BNR Nieuwsradio, 19 Dec. 2016. Live interview on WWF's report "Onderzoekers ontdekken 163 nieuwe soorten in Mekong regio" [in Dutch].